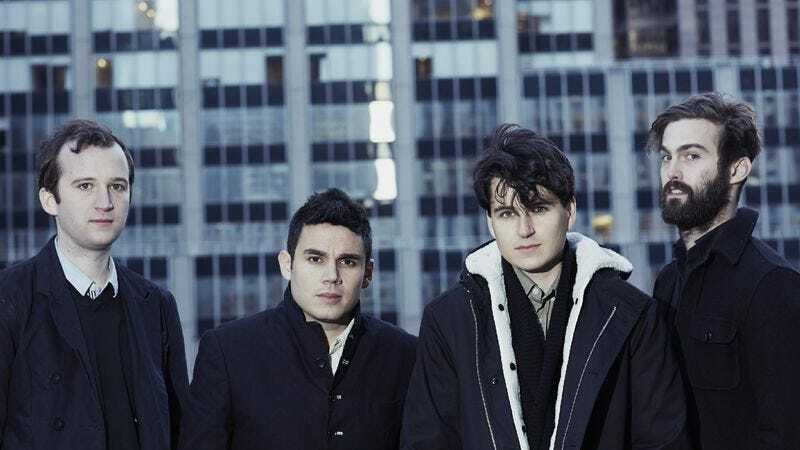 Hands down, I think my favorite record so far this year is Vampire Weekend’s Modern Vampires Of The City, and by far, my favorite track off that LP is “Unbelievers.” I listen to it several times a day, and I find it stuck in my head constantly. At only three minutes and 20 seconds long, it’s the perfect length for a summer jam, and its propulsive beat and talk about sinners, saints, and being “bound to the tracks of the train” would make it seem almost Springsteen-esque, if it weren’t so damn cheery. Even the bridge, about pondering whether a lackluster life is the fate the world has planned, is positively sunny, though the lyrics are cloaked in a definite sense of despair. That’s perfect, though. That’s all I want from a summer song, really: inner turmoil wrapped in an upbeat tune I can blast out of the car window.